Today we sit down with Anna Vecher, Recruiting Operations Team Lead, to hear about the recent launch of an updated candidate survey and why we value candidate feedback in Recruitment. I’m Anna, the Recruiting Operations Team Lead, and I have been working at GetYourGuide since August 2015. Over the course of my time at GetYourGuide, I’ve had the chance to work on countless interesting projects, many of which relate to candidate experience. The candidate survey is a key channel through which we learn about a candidate’s experience and satisfaction with our recruiting process. We send the candidate survey to both internal and external candidates who go through the recruiting process at GetYourGuide. In this post, I will detail how the survey has changed over time, but first it’s important to know why we send out a candidate survey at all. Why do we survey candidates? We value our candidates and prioritize their experience throughout our recruiting process. Hearing directly from the candidates is the most surefire way to guarantee we meet and exceed their expectations. We want to treat candidates incredibly well from the very first interaction, so they walk away with a positive impression of GetYourGuide, no matter the outcome of their recruiting process. When I first joined GetYourGuide, our candidate surveys were sent through Greenhouse, our applicant tracking system. While the Greenhouse survey was a good start, it didn’t offer us the flexibility we needed. We wanted the ability to customize the survey based on the outcome of the recruiting process and the stage the candidate reached in our process. By the time I took over the candidate survey project in 2016, we had migrated the survey to Google forms since they provided us with the flexibility we needed. The survey measured a range of topics from candidate satisfaction with the process overall, to their experience with the interviewers, Recruiter, and the Coordination team. Although we were sending out surveys with relative frequency, the results were left untouched. Occasionally someone from the Recruiting team would look at the results, but reviewing the surveys wasn’t a part of the normal workflow. Responses went largely unseen and our process unchanged. When I took over the candidate survey project, I wanted this to change. Not only would we send more surveys, but we would also consistently review the results. Upon taking ownership of the project, I reviewed all of the forms and the results up to that point and adjusted the survey questions. I shortened and sharpened the survey to focus on the questions that led to the most actionable and interesting results. I also created new surveys for new recruitment stages or processes. For example, when we launched a video interview for our Customer Service, Content, and Sales roles, I created a survey measuring candidate satisfaction with this stage specifically. I also created a survey for internal candidates since many of the questions on the original survey did not apply. The responsibility of sending surveys was rolled out to my entire team of Recruitment Coordinators and sending surveys became part of their weekly tasks. We systematically collected data with this survey for two years. During that time, I created quarterly reports sharing key insights, open questions, and feedback on things to improve. The results from the survey inspired a lot of interesting discussion and concrete changes to the recruiting process. For example, we received feedback that some of our candidates who had completed their phone interview didn’t feel they had the opportunity to share exactly why they thought they would be a great fit for the role. So, Recruiters updated the questions they were asking in the phone screen to address this point. Candidates also wanted to know more about why they weren’t moved further in the recruiting process, so we also changed the way we rejected candidates to include more personalized feedback, no matter how early in the process they were rejected. Finally, the surveys gave us many ideas on how to improve the content on our blog to guide candidates through the recruiting process. While the survey results were helpful for the team, we knew that further iterations needed to be made. So, we started looking for a new tool that would help us send better surveys and get more actionable results. We started looking for a new tool for a few reasons. First, sending the surveys manually was no longer scalable. Even with my team of 5 Coordinators, it was taking too much time every week to send a survey to each candidate. Second, we were only able to survey those who had already found out the result of their recruiting process which significantly skewed the data. We wanted to track candidates’ experiences while they were still in the process to increase the objectivity of the responses. And, finally, Google forms required me to look at all of the data for the different surveys and combine them into one, then create visualizations for each individual question. It took a lot of time and there was too much room for human error. After some searching, we partnered with Trustcruit, a small Swedish startup. I collaborated directly with the CEO who, with his team, worked tirelessly for several months to create an integration that worked for us. Trustcruit sends surveys automatically, allows us to send surveys and get results while a candidate is still in process, and automates reporting. Now Recruiters have their own login and can see results for their roles and departments whenever they want and share these insights with the hiring teams. We launched the new survey in March 2019, and while we can’t say much about the candidate feedback at this time, I can say that the feedback from our internal team is quite positive. It has reduced the amount of manual work considerably, improved the user experience of the survey forms, and will soon provide greater transparency to the hiring teams on how candidates feel about the recruiting process. 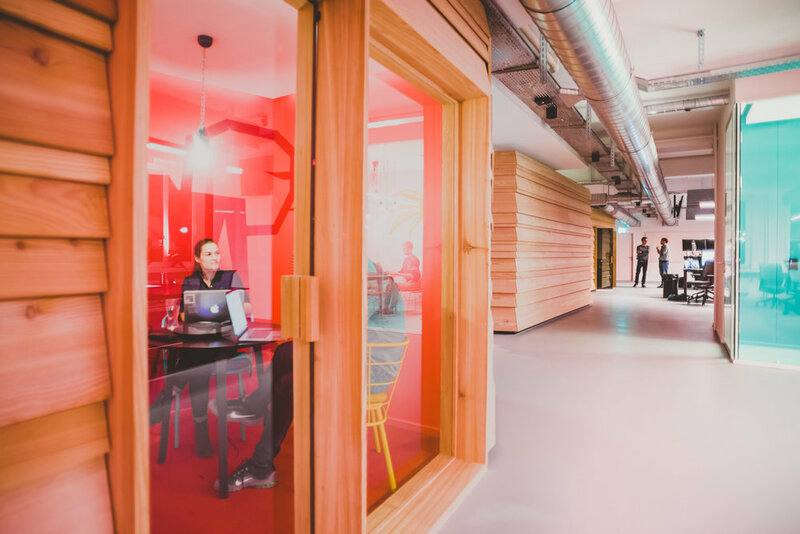 Having access to these insights will help us provide an even better candidate experience, achieve our hiring targets, and stay ahead of the curve in Berlin’s competitive hiring market. Thank you, Anna, for detailing this process. Interested in joining out Recruiting team? Check out our open positions.